Now, I've only superficially experienced it so far - a bit during its global reveal and then a fair bit during the Auto Expo 2014 - but I felt compelled to write this piece because the Datsun GO has been making headlines in the automotive circus. Even the research trends in the space of World Wide Web show that people have been going mad searching for the GO! The auto hacks across media platforms are being invited by the company to experience the product first-hand and you'll read about our impressions of the GO soon - 28th Feb, to be precise, which will be followed with another report soon after that. Datsun, as a corporate entity, went totally non-operational in 1986, and it was after 27 years, in 2013, that the firm was officially revived. 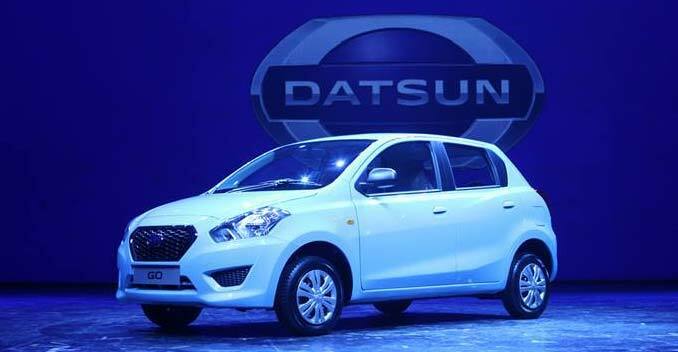 However, the formal announcement of Datsun making a comeback was made as early as March 2012 and it was communicated that Datsun would serve in markets like India, Indonesia, South Africa and Russia. Between 1958 and 1986, Datsuns were basically Nissans. The cars that Nissan exported wore the Datsun logo on their bodyshell - and that was essentially it. Datsun has a very rich legacy that dates back to 1914, but the brand as we know it didn't come into existence until 1931. But that's a walk down the memory lane for a later time. What we have in front of us are two products - GO and GO+; the latter is the MPV that'll go head-on against the Maruti Ertiga, and also the much-talked-about Honda Mobilio. GO is a hatchback - everyone knows that. It's based on the same V platform as the Nissan Micra so I expect it to be dynamically quite sorted, too - the Micra, afterall, is a capable little squirrel! Some more factual highlights for you - it's 3,785mm long, 1,635mm wide and 1,485mm tall. The wheelbase, at 2,450mm, suggests that it'll be quite roomy - the number puts it well clear of Hyundai Grand i10 and places it in the league of substantially more expensive hatchbacks like Volkswagen Polo actually. It'll make use of a slightly reworked 1.2-litre 3-cylinder petrol engine from the Micra. The power rating is expected to hover between 65-68bhp mark and the torque figure should be around 105Nm. The company executives are saying that it'll be priced very competitively, so if we were to hazard a guess, we'll put it between 3.5-4.5 lakhs across the trim levels. What I didn't particularly appreciate was the interior quality. The plastics inside barefacedly suggest that it's built to cost, this car. Also, the centre console houses a very weird looking entertainment system - it's got two jack-in points for USB and Aux and a few more knobs that'll control the volume and other functions. It just looks quite rudimentary - that's my beef about it. Overall though, especially keeping its price point in mind, the Datsun GO does look like a good enough alternative to the regular names from the hatchback segment. But then again, I am going to reserve my opinion till I drive it.